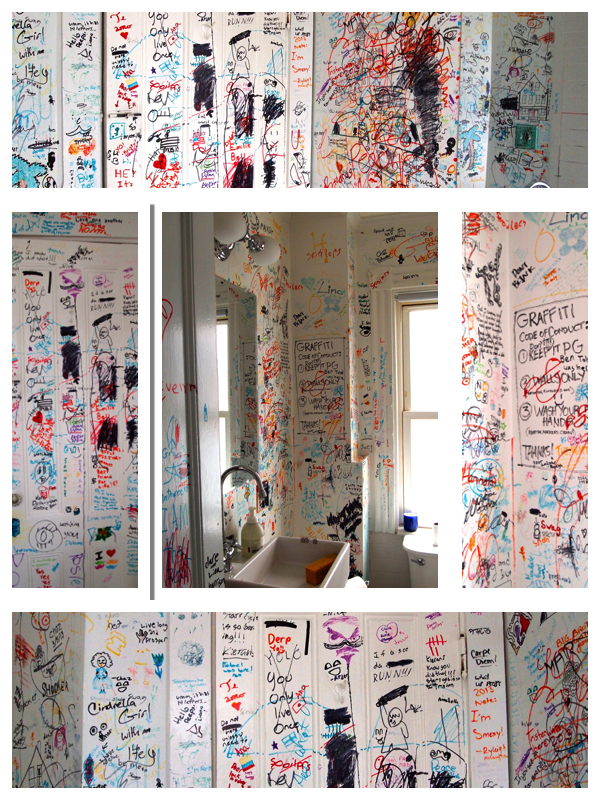 It’s time to say goodbye to the graffiti bathroom. We made it more than three years before SOMEONE (not naming any names here) took it too far. I said: KEEP IT CLEAN and I meant it! I documented the images (some of them were very artistic) and I think we will all miss our bathroom entertainment. I am going to paint over the walls (hopefully this month) with…….. chalkboard paint! We can still color on the walls but I’ll have a little more censorship control (hey, it’s not a democracy).